The University of Edinburgh, founded in 1583, is an internationally renowned centre for teaching and research in Edinburgh, the capital city of Scotland and a UNESCO World Heritage Site. The University was the fourth to be established in Scotland and is widely regarded as one of the most prestigious universities in Europe, having been consistently placed amongst the leading universities in the world. The QS World University Rankings 2010 ranked the University of Edinburgh as the 22nd university in the world, while the Times Higher Education World University Rankings ranked it as 40th overall and 6th in Europe. 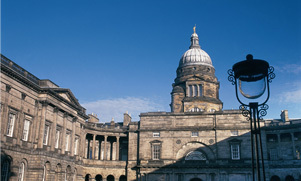 The University of Edinburgh is a member of the Russell Group of research-led British universities. It is also the only Scottish university, and (along with Oxford and Cambridge) one of the only British universities, to be a member both of the Coimbra Group and the LERU: two leading associations of European universities. The University is also a member of Universitas 21, an international association of research-led universities. In 2002 the University was re-organised from its 9 faculties into three ‘Colleges’. While technically not a collegiate university, it now comprises the Colleges of Humanities and Social Sciences (HSS), Science & Engineering (SCE) and Medicine & Vet Medicine (MVM). Within these Colleges are ‘Schools’ – roughly equivalent to the departments they succeeded. The King’s Buildings campus, further south, houses most of the Science and Engineering schools including a Biology School that is a world leader in genetics. The Scottish Rural College (SRUC) and British Geological Survey (BGS) also have a presence on campus.